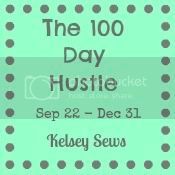 Jolie Maxtin: Get Ready, Get Set 100 Day Hustle - GO! Wow, you've quite a list there !! I'm glad to see I'm not the only one who has a lot of things to do before christmas ! !